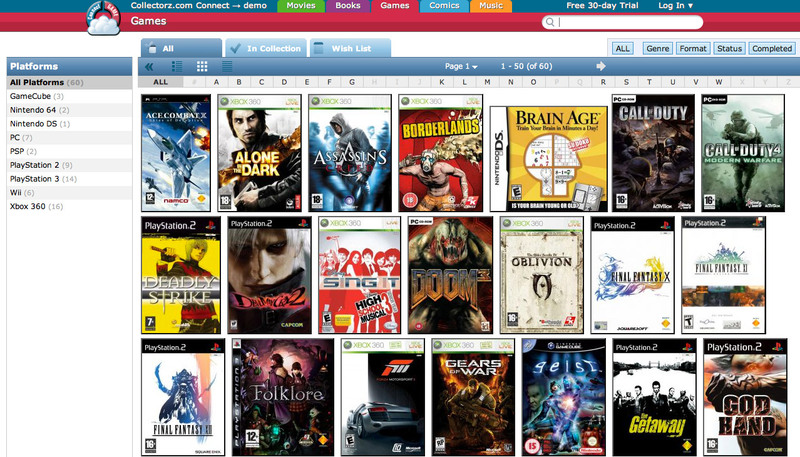 Game Collector Connect is an online cloud based database system which catalogs your game collection. If you own multiple consoles and have your games on different devices, this is the ideal web application to keep track of all of them. 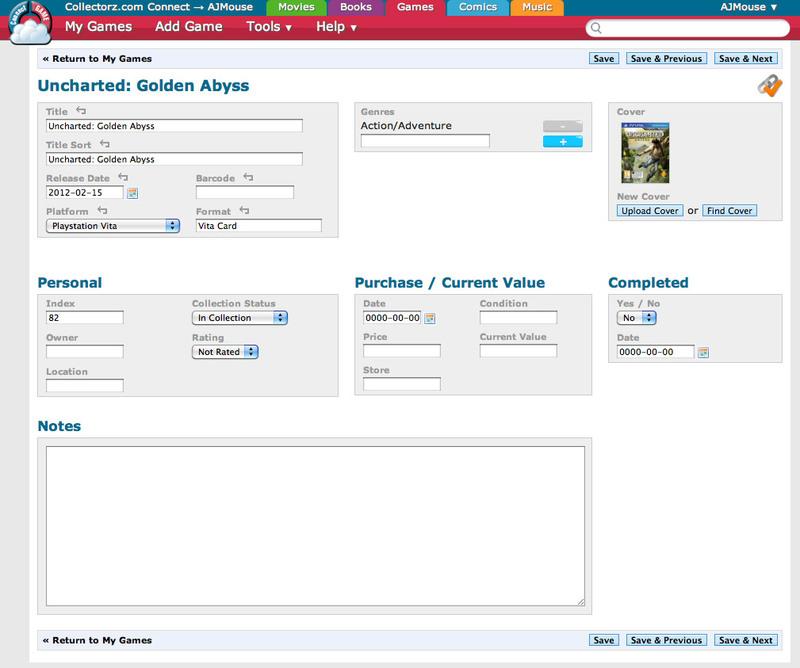 Making your online catalog with Game Collector Connect is very easy. 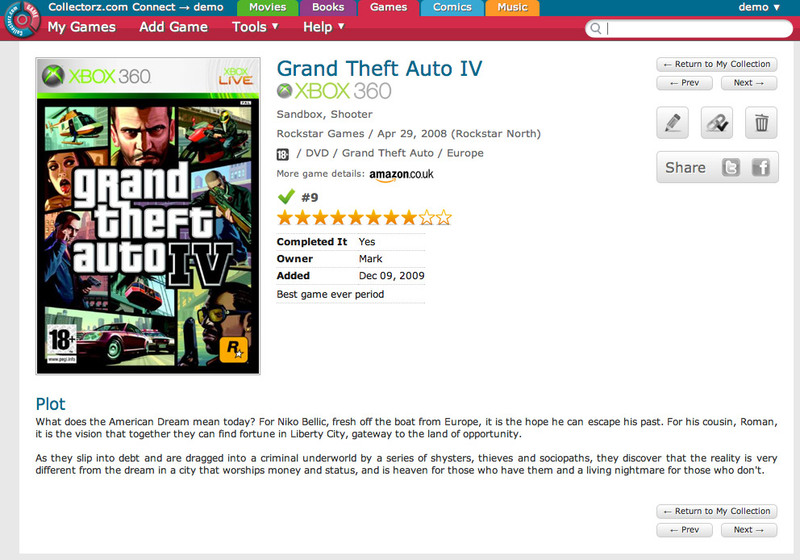 You simply type game’s title and all the versions of the game available for various consoles (or platforms) appear. You just click on whatever game you like and it is added to your catalog in a few seconds. 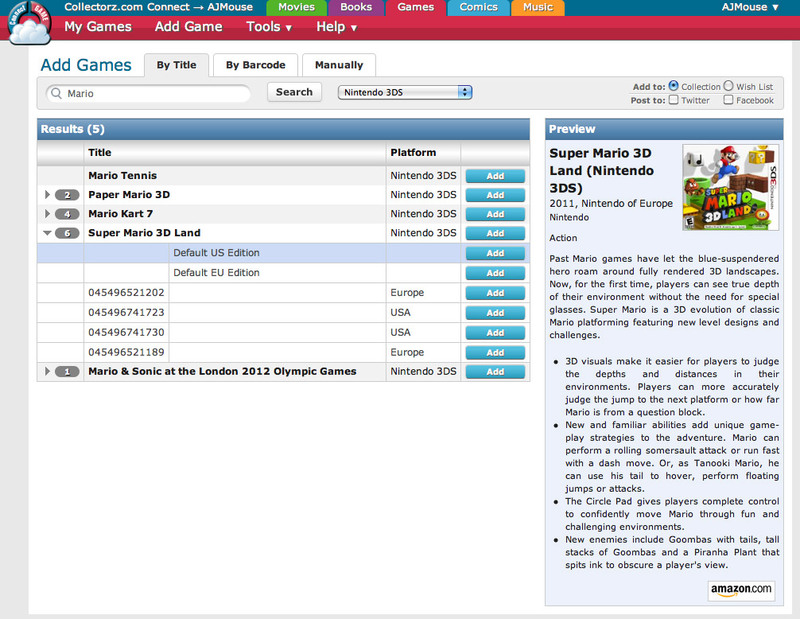 The game along with its version, platform, genre and cover art gets added. You can do the same by just entering a game’s barcode. As the barcodes might not be available for the downloaded games so you would have to stick to the titles, or there is a third option too. You can enter each game and its details manually. Entering a game manually takes much longer as you have to fill all the boxes yourself. But having the option to enter a game manually makes it easier to enter foreign language import games and the virtually console games such as that of Nintendo 3DS. When you add a game to your catalog all the details such as the game’s art cover, release date, developer and publisher are added automatically. When you are done adding this you have an option of sharing your catalog with your facebook or twitter friends. If you love playing digital games you probably own more than one console. Whether it is the xbox 360, play station, PS2 or Nintendo DS or have huge collection of games on your pc’s hard drive; they can all be in one place now. You can easily categorize them. When you make your catalog, the left hand side shows you how many games you own in each platform. You can access your games easily by filtering them through platform, genre, format and also which games you have completed. As there are always new versions of the games being released it is easier to keep track of what you own or what you wish to own. Data from your catalog can also be seen as pie or bar graphs. You can break it into any metrics you prefer by clicking on the statistics link. This gives you an insight to your gaming habits. You can have all of this information categorized and cataloged without ever worrying about the memory of your PC or the hassle of maintaining excel sheets. Because if you have tried to maintain a catalog of some sort or a list earlier you would understand very well how pain taking it is to make a new entry every time you get a new game. Game Collector Connect is an extremely functional and data entry is easy for anyone. If you have a huge collection of digitally downloadable games’ it is practically impossible to keep track of them. Game Collector Connect solves this issue in an intuitive way. And since your catalog is cloud based, you might want to take a look at this great app.